It is a kind of room temperature adhesive, used for bonding screen fabric to aluminum frame. In screen making, the primary material used is polyester, which is bonded to an aluminum frame. Constant striving toward high quality is placing high demands on mesh tension and solvent resistance making proper adhesive application even more important. Learn more aboutadhesive processing to make you aware of the critical points and to ensure maximum bonding results. 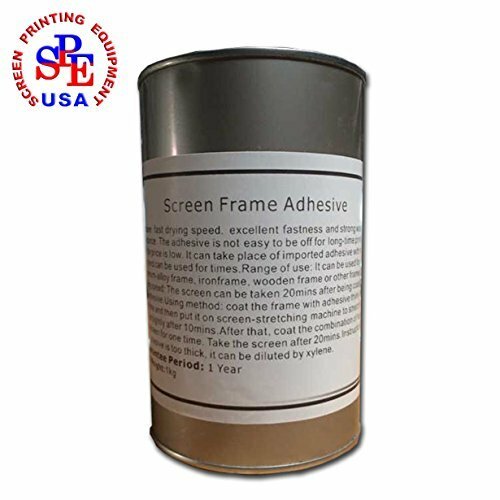 When you are stretching screen, you need to coat screen adhesive evenly on the four sides of frame. The adhesive should be even and proper but not too thick. Place it for 8-10 minutes after coating and then try it by hand; if it sticks hand a bit, then you can stick screen and begin stretching. After well stretched, use the screen frame adhesive for the twice coating. The stretched screen frame will be more durable. Storage: Seal preservation in cool and dry place.